Red color wig itself is beautiful. It looks in the exact color as displayed on the website. Made of heat resistant fabric and is quite thick. It’s especially thick on the top, so you get that amazing hair style or fashion style by yourself with only a little modifications. If you’re not interested in this much volume, then all you have to do is brush it down while blow drying it carefully. 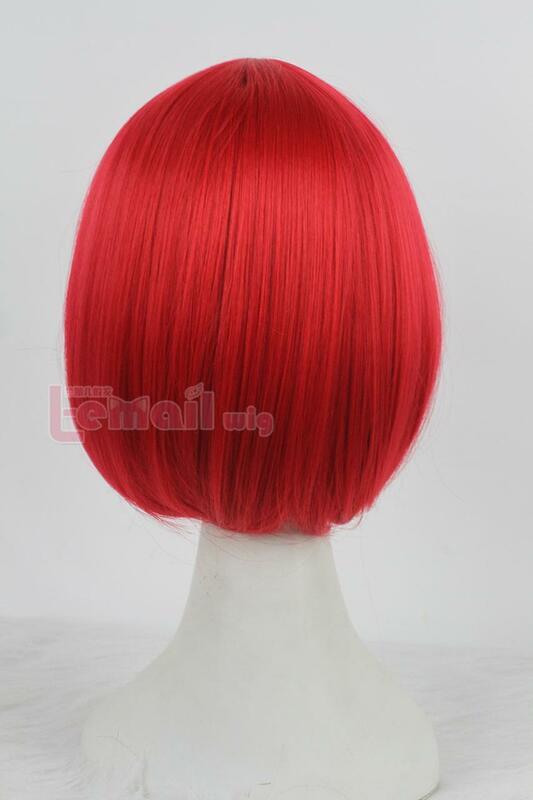 The wig born to be in rich red color. 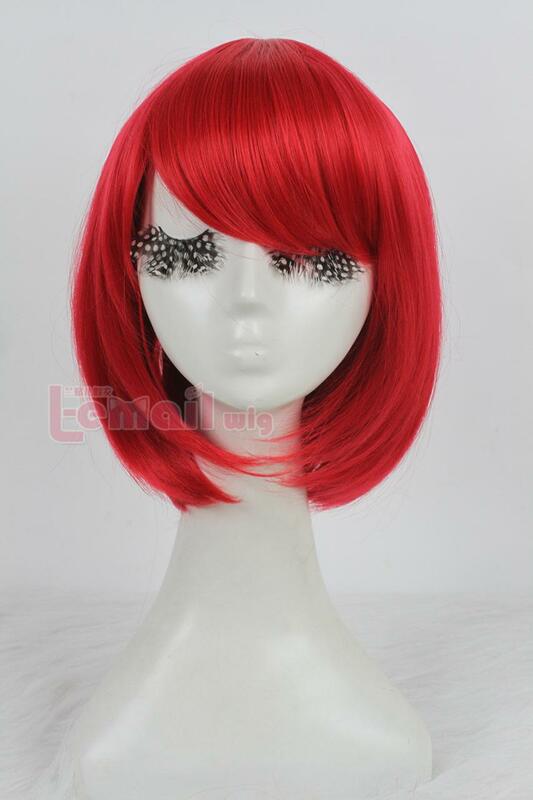 The wine red cosplay wig is a lovely short bob wig that touches just the chin and frames face nicely. The wig would need slight styling at bangs to adjust your face, otherwise it is ready to wear right out of the box. The wig is shiny and straight. It is a name of quality and needs minor maintenance. It does not shed much hair fibers therefore it remains the hot favorite of all having an interest for bob wigs. It is a really nice wig. Soft, not too shine, no loose hairs. Sold at really really cheap price on the website, I think you’d get that with most wigs if you have made the decision to take it home. You could fix it with styling all by yourself! 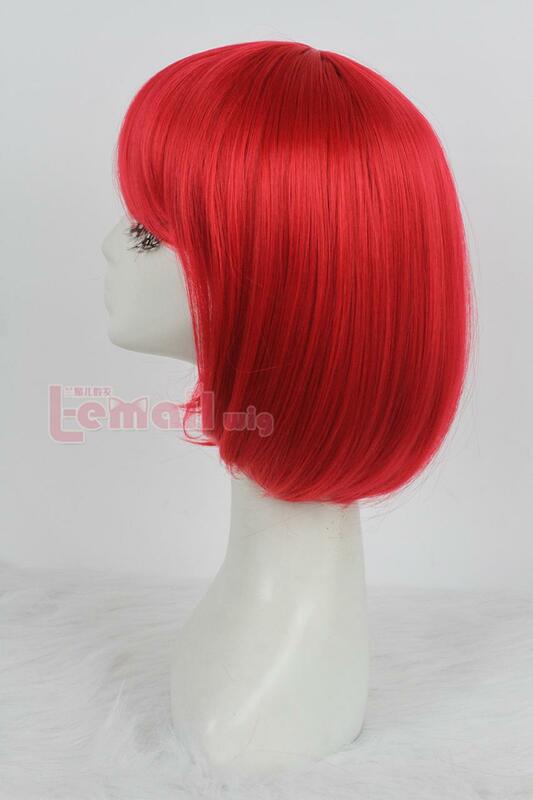 This entry was posted in Buy Cosplay Wigs, Fashion Wigs, Wig Maintenance and Care and tagged 35cm straight wigs, red color wig, short length bob wigs, straight fashion wigs.